Land Rover North Haven is proud to be the recipient of the Pinnacle Club Award in 2003, 2005, 2008, 2009, 2012, 2013, 2014, 2015 and 2016/2017. What does it mean to be a winner of this elite award? Jaguar Land Rover North America, LLC honors the top sixteen Land Rover retailers who demonstrate a commitment to excellence each year. Evaluation is based on overall performance including customer satisfaction, sales performance and staff training. “Land Rover retailers are recognized as leaders in both customer service and sales satisfaction and these 32 retailers are to be applauded for setting such high standards”, says Andy Goss, JLRNA. “Providing an exceptional overall experience for our customers is a real competitive advantage for Land Rover, and one we take great pride in.” Land Rover North Haven focuses on providing professional and exceptional experiences which has yielded long term relationships since the doors opened in 1997. Land Rover North Haven’s commitment to uphold the Land Rover standard of excellence allows our customers access to our unsurpassed industry knowledge, experience and expertise. 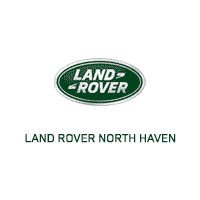 Land Rover North Haven offers full inventories of new luxurious Land Rover and Range Rover models, high quality Certified pre-owned vehicles, exceptional services that include pick-up and delivery for service visits and a parts and service team who are second to none. Stop by and see why Land Rover North Haven continues to be recognized as a Pinnacle Club Winner for the United States.